The variety allows her customers to find a gift that has a personal, individualized touch. But now, Gail Ahlers intends to go further. 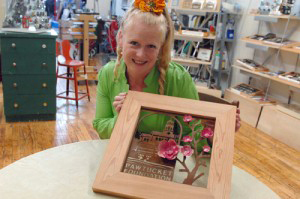 She is adding a new focus to her business by concentrating on custom-made, corporate gifts and awards, such as the one the Pawtucket Foundation recently presented to Michael Cassidy, the city’s retiring director of planning and development. The handsome award shows cherry blossoms and the Pawtucket Foundation logo in a wide, wooden frame. This year was the first Cherry Blossom Festival held in Pawtucket, where a row of donated cherry trees now grace part of Roosevelt Avenue, so that’s why Ahlers said she included the blossoms, whose petals she cut from soda cans. The frame is made of reclaimed wood from a Pawtucket mill. “I am using a lot more recycled and reclaimed but extraordinarily high-quality materials,” she said. For the Atlantic State Fisheries Commission, a regular client of hers, she has created gifts that members receive at annual conventions, such as a letter-opener in the shape of a fish or a key chain resembling a horseshoe crab. Such gifts “really have a completely different feeling than, say, giving them a baseball cap with your logo on it,” Ahlers said. Gail Ahlers of Ahlers Designs was recently interviewed on Blog Talk Radio by Sassy Ladies Expert Wendy Hanson. Here is some of what Blog Talk Radio learned about Gail Ahlers, Ahlers Designs, how Gail tuned her artwork into a successful woman owned business as well as Gail Ahlers love for and commitment to both her community and women in business. About Ahlers Designs: Since 1989 Ahlers Designs has provided our clients with innovative gift solutions, offering high end quality corporate gifts and awards. We work with you to create either custom one-of-a-kind gifts or items in large quantities, taking into consideration your industry, the lead time and budget for each project. Our clients include Habitat for Humanity, Lotus, Raytheon, Teknor Apex. 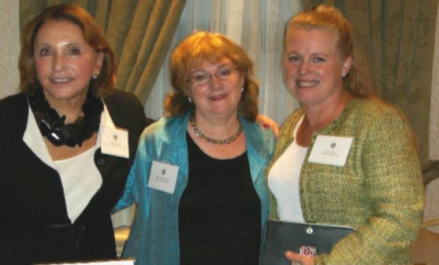 To hear Wendy Hanson's interview with Gail Ahlers of Ahlers Designs go to Blog Talk Radio. With Fathers Day just a couple of weeks away, how many people are thinking wouldn’t it be great to give Dad something different this year? Do you sit around and wonder, what kind of Fathers day gift would my Dad really like? Well here are a few unique Fathers day gift ideas that Dad is sure to appreciate. [singlepic id=114 w=200 h=133 float=left]If your Dad likes to fish then this fish bottle opener is sure to be a Dad pleaser! Ahlers gifts fish bottle opener is unique because it’s shaped like a fish and at the same time it’s practical because every fisherman takes cold drinks with them when they go out on their fishing excursions. Ahlers Gift’s fish bottle opener is hand crafted in the USA, cast in Pewter and then finished with Silver Ox plating. This fish bottle opener is guaranteed make a big splash with all Dads that love to fish. [singlepic id=115 w=200 h=133 float=right]Maybe your Dad loves to spend his days out on the golf course. If your Dad is an avid golfer then Ahlers Gifts is definitely the place for you to find the perfect Fathers day gift. Ahlers Designs has a wide assortment of unique golf gifts for fathers who live to play golf. Present your Dad a very practical golf gift that he will use daily. These golf gifts are also hand made in the USA. Each golf inspired emblem is cast in pewter and hand colored using durable enamel! [singlepic id=119 w=200 h=133 float=left]Is your Dad a business man who keeps his business cards in his wallet? If he is then Ahlers Gifts has the perfect gift for you to get your Dad for Fathers Day. A great idea for Fathers Day in this case is to get your Dad one of Ahlers Gifts handcrafted business card holders. These business card holders are constructed of durable steel. Ahlers unique business card holders vary in finish as well as in the number of business cards they will hold. Each business card holder in the Ahlers Design Collection is uniquely decorated with a cast pewter emblem that is hand colored using durable enamel, also made in the USA. These are just three of the many unique gift ideas that you will find at Ahlers Gifts. Ahlers also carries key chains, credit card holders, leather check book covers and desk accessories. You can choose to embellish your Fathers day gift from the many designer emblems created in the Ahlers Design studio; that range from sports to marine to cars; travel, music, medical, money and more. You're sure to find a gift that relates to your Dad's hobbies, interests or business. Visit Ahlers gifts to see our selection of gifts and to place your gift order before Fathers Day. Custom corporate gifts are a unique way to express your gratitude to valued employees. At Ahlers Designs, custom corporate gifts are designed to perfection. When you show gratitude toward your valued employees by presenting them with a custom corporate gift from Ahlers Designs they will surely understand how much they are appreciated. Searching for unique gifts? Are you longing to come up with new gift ideas. You can find original gifts that are also hand crafted gifts at Ahlers Gifts your one stop shopping spot for original gifts to give to all people for any occasions. The City of Pawtucket approached me about Ron St. Pierre, a recent inductee into the Rhode Island Radio Hall of Fame. I am a well-known advocate for the arts in Pawtucket, and as Pawtucket is Ron St. Pierre’s hometown, the city thought it would be a meaningful gesture to provide Ron with a gift that reflected his roots. The outpour of support from local business was truly remarkable and I was presented with the task of creatively organizing all of these wonderful gifts. This is how I came up with the idea to create “The Passport to Pawtucket”. Using an antique suitcase from the wonderful Rhode Island Antique Mall I set about organizing all of the generous contributions provided by our local community. I organized the gifts into three main categories; activities, food and presents. The suitcase was literally brimming with good will and Rhode Island favorites ranging coffee syrup to theater tickets. The PAWSOX generously donated tickets, an official Pawtucket Red Sox Jacket and baseball. To name a few, Ron St. Pierre will be busy dining this year with at delicious eateries around the city, Rasoi and LJ’s Barbeque. Ahlers Designs gave him a Rhode Island Sailboat business card case and a leather luggage tag to match. The gift was received with grace and I had the pleasure of speaking with Ron St. Pierre himself, the morning after it was presented. His phone call reminded me why I make my living with my gift collection and custom designs. Giving gifts that matter is not just a slogan to me, it is a way of leading my life. Showing appreciation and sharing thankfulness is a vital part being in a community. Mothers Day, the second Sunday in May is a national holiday, celebrating mothers and all that they do for us. The original idea for Mothers Day in the United States was not actually a day for celebrating mothers. It was a day which was organized by an Appalachian homemaker named Anna Jarvis. Anna’s intention was to bring awareness to poor health conditions in her community. 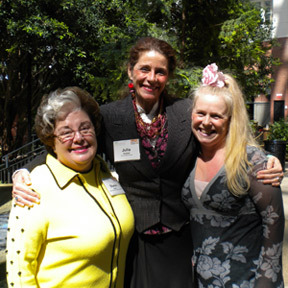 She called this day “Mothers Work Day” because she believed that mothers would best be able to advocate the awareness of these poor health conditions. Anna’s selflessness is a prime example of why we honor mothers around the nation. A mother is a person whose love for her children drives her to put herself aside to focus on her family. A mother prides herself on the upbringing of her children. A mother’s efforts and selflessness are often overlooked, yet this is still ok with her because her appreciation is in knowing that she has taken the best possible care of her family. A mother is a person who thinks about her children every day. It’s for this very reason that we celebrate Mothers Day. How often is it that Mothers Day arrives without us even realizing it? Let’s think about how we honor our Moms, very often we honor mothers in a repetitive fashion. At the last minute, without much thought, we grab what we believe to be her favorite flower bouquet and a popular box of sweet chocolate on the way to visit with her for an hour. Mothers Day is just around the corner. This year for all that your mother does for you; why not celebrate Mothers Day by stepping out of the usual flower and chocolate routine. Stop to take just a moment to add a creative touch and honor your mother with a gift that is both elegant and practical. Seen in the images above, Gail Ahlers of Ahlers designs has created a wonderful variety of <a href="http://www.ahlersgifts.com/category/02_gift_ideas.02_gifts_for_her/">gifts for Mom</a> that you can choose from. These gifts will add both a unique and personal touch to the gift that you choose to present to your Mother with on Mothers Day. These gifts can be created around the hobbies and interests of your mother. Mom is sure to place extra value on such a gift because it will tell her that you do know and love her. The thought that you put into choosing a gift from the Ahlers gift collection will leave a lasting impression on your mother because it will show your mother the levels of appreciation that you have for her and all that she does for you. *Don’t forget to view our special offers page.